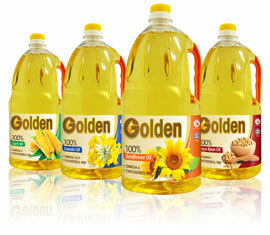 Golden Cooking Oil is an affordable range of polyunsaturated oils that caters to your cooking needs. It consists of 100% Canola Oil, 100% Corn Oil, 100% Soya Bean Oil and 100% Sunflower Oil. And they are all endorsed with the Singapore Health Promotion Board’s Healthier Choice Symbol.